Our company manufactures useful Herbal Stevia products, extracted from organic stevia plant. 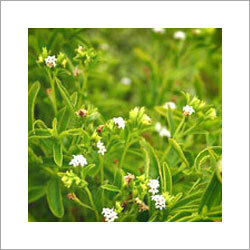 The leaves of stevia plants are also called sweet leaves because of the natural sweetening agent present in them. Stevia leaves products are acknowledged widely because they are low on calorie and are helpful in restoring pancreas finction. Stevia Green Leaves Powder and other stevia leave products are proved to be beneficial against ailments like hypoglycemia, low blood pressure, 35.2% fall in blood sugar level in diabetics, treats acne, prevent premature aging, cures obesity etc. We have marked our presence in the market as one of the top ranking Dried Stevia Leaves Manufacturers and a supreme Stevia Plant Exporters from India. 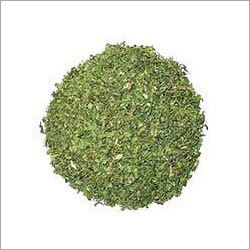 The no calorie Stevia Green Leaves Powder offered by our company is extracted from stevis plant. 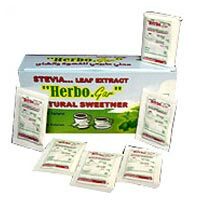 Stevia Dry Leaves Powder is an excellent option for those suffering from diabetes and high blood pressure as it works as an alternative to synthetic sweetener and can be blended with other sweeteners like honey.